These Attention-Grabbing Table Cloths are Available with Same-Day Shipping in Many Cases! Look Through the E-Warehouse for Runners, Throws, and Linens! Pick the Best Table Skirts to Decorate Your Counters Today! Skirt with box pleating provides upscale look. 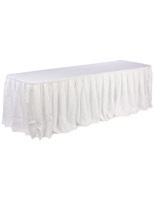 Tablecloth measures 54" x 96" for 6' rectangular tables. 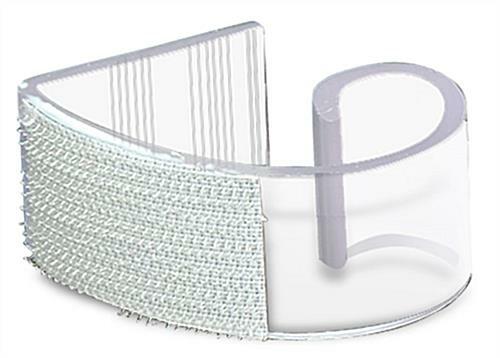 Clips included to attach skirts with ease. These table skirts, also known as throws, make rectangular tables look great in any environment. At a trade show or banquet, these cloths will ensure patrons are impressed by their surroundings. These table skirts come with the table cloth, skirting, and clips. Measuring 54"w x 96"l, this tablecloth is designed to fit over 6' long rectangular tables. 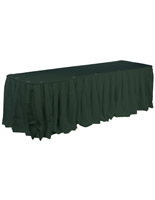 The table skirts provide a full covering that reaches to the floor. The skirting has box pleating that give it an upscale look, ideal for use in banquet halls or conference centers. Ten clips are included to firmly attach the skirting to tables. Each clip has a strip of hook and loop fabric that attaches to the inside of the table skirts. All of these components combine to transform boring folding tables into upscale furniture. 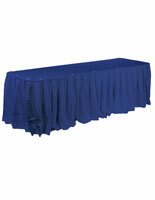 These table skirts, also called table throws or runners, are designed for large scale commercial use.  These linens, tablecloths are manufactured from polyester. Polyester fabric is inexpensive and durable when compared with other fabrics. 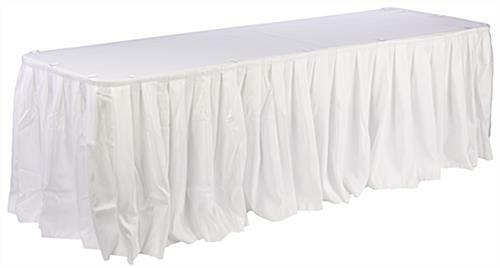 As a result of a polyester construction, the table skirts are both machine washable and wrinkle resistant. A user friendly polyester fabric, combined with low price and designer style makes these throws an incredible deal!